Wait, You Thought Wall Street Wasn't Regulated? 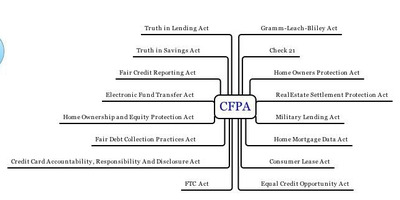 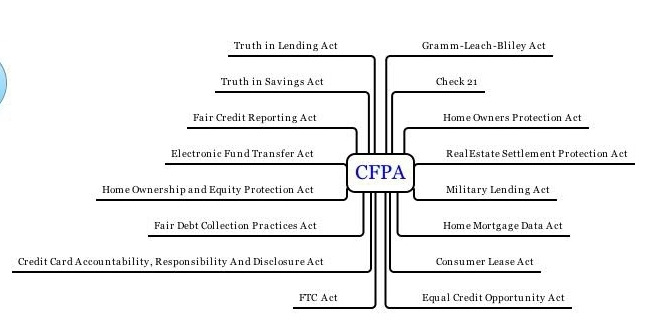 This chart from the Consumer Federation of America (via HuffPo) shows just how much Wall Street is in fact regulated. 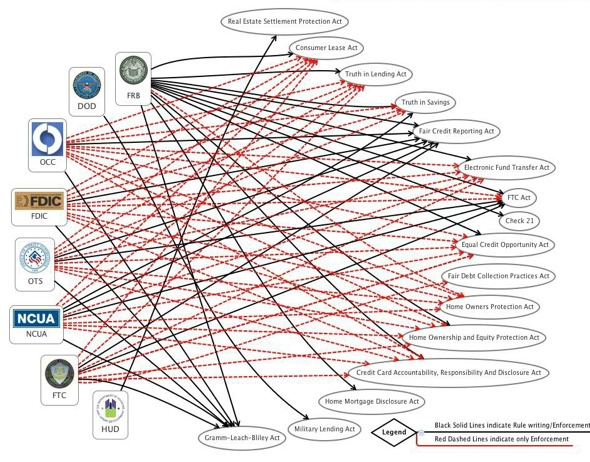 Of course, what they want — and what might make a lot more sense — is a system like this.